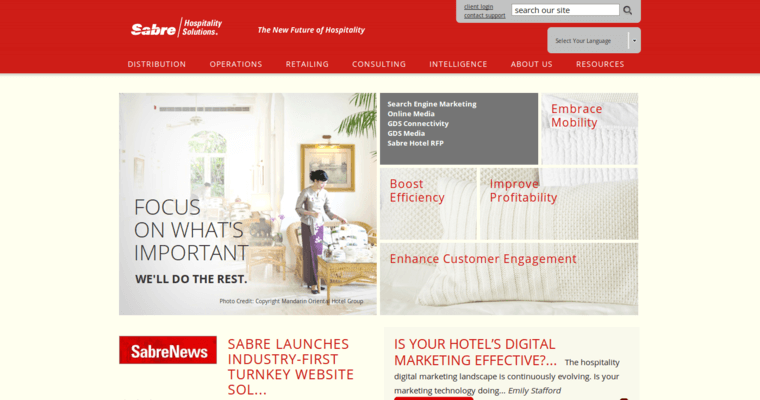 Hotel search engine optimization firm Sabre Hospitality understands the importance of hospitality, and how hoteliers can exceed guest expectations every time. They work with brands to create a distribution strategy that's unique and customized to your hotel. 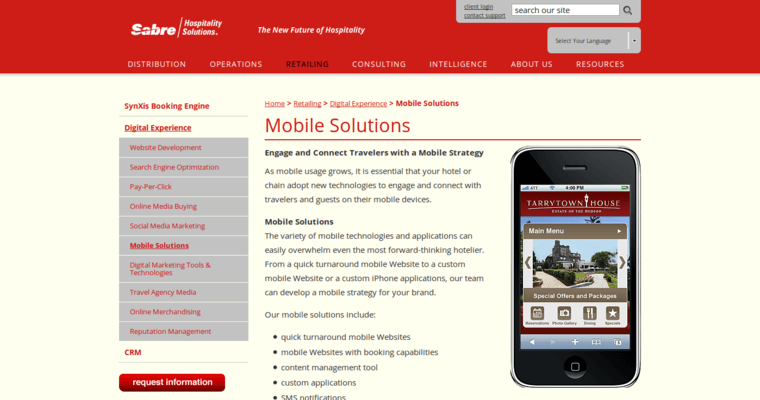 They can also help you encourage your guests to book rooms right from your website. Sabre also understands current trends luxury travel, like special fitness classes and in demand culinary treats. Their services include distribution, operations, retailing, guest experience and enterprise intelligence. 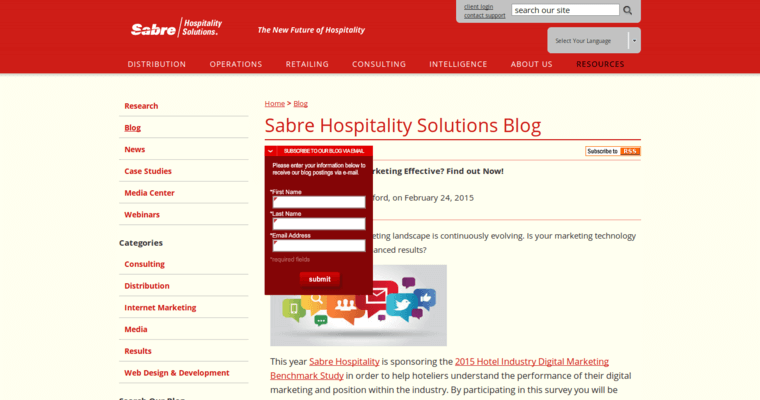 Sabre Hospitality is one of the biggest software companies in the world. The company started as a collaboration between American Airlines and IBM to create a computerized reservation system for airlines. It's evolved a lot since then, now helping companies reach customers at practically every step of the travel experience. Sabre has worked with more than 36,000 hotel properties. Visit their website to read their latest blog posts and industry reports.